This simple book won't waste your time. 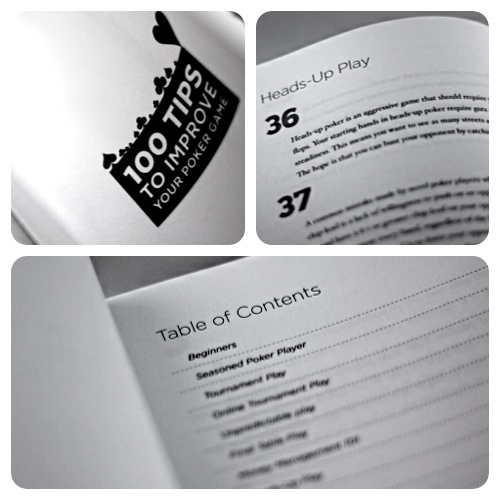 It can be taken everywhere (yes, even there...) and is a quick reference containing exactly 100 valuable tips for your poker game. We won't waste your time with miles of long paragraphs talking about the best sunglasses to wear or how much money you should bring to a tournament.